Chris Packham, naturalist, nature photographer, TV presenter and author. “ At last, someone making sense! This is an excellent book,very well written, beautifully illustrated and its a breath of fresh air to hear someone credible writing about such things instead of the usual outdated garbage spouted by those awful celebrity trainers! “If you love a good read that challenges your preconceptions and reveals truths about common assumptions, then Toni Shelboume's The Truth About Wolves & Dogs is for you. 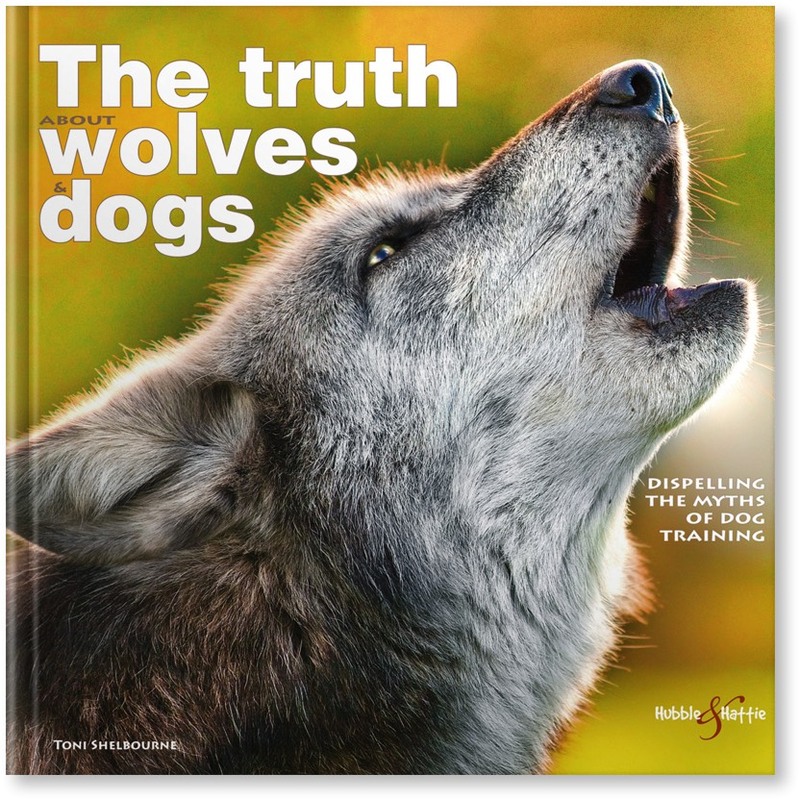 This book describes the historical difference between wolves and dogs, while critiquing traditional dog training and the myths associated with it. Covering a wide range of topics from the theory of how dogs evolved, to how to understand and interpret your dog's behaviour, this book is detailed and informative. It is designed to help you reconsider your dog training style in order to achieve a wonderful partnership with your canine companion Make sure you have a look at the array of demonstrative illustrations, which will come in handy when learning to recognise certain behaviour. This visually stunning and beautifully written book eloquently explores the differences and similarities between wolves and dogs. Subtitled 'Dispelling the Myths of Dog Training', the book reveals and clearly illustrates the real dynamics within interactions in both species, and clarifies why the outdated and scientifically inaccurate 'dominance' methods used in dog training are inappropriate and ultimately damaging to the very special human-canine bond.